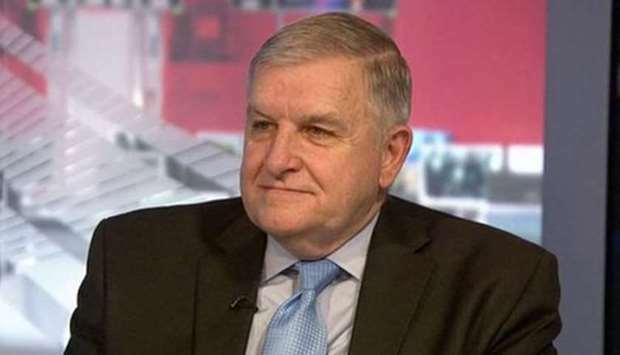 General Anthony Zinni, the special envoy of the US Secretary of State, discussed the “Gulf crisis and efforts to contain it” with Kuwaiti leaders yesterday, according to Kuwaiti Deputy Prime Minister and Foreign Minister Sheikh Sabah al-Khaled al-Hamad al-Sabah. The Kuwaiti news agency (KUNA) reported that Kuwaiti Prime Minister Sheikh Sabah al-Khaled al-Hamad al-Sabah reviewed during the Cabinet’s session yesterday the contents of the talks held by the visiting US envoy with Kuwaiti officials. The talks pertained to “the Gulf crisis and efforts to contain it, in addition to the arrangements for the upcoming US- GCC Summit in May”. The Emir of Kuwait Sheikh Sabah al-Ahmad al-Jaber al-Sabah also met with General Anthony Zinni. Earlier yesterday, His Highness the Emir Sheikh Tamim bin Hamad al-Thani met with the envoys of the US Secretary of State General Anthony Zinni and Deputy Assistant Secretary of State for Arabian Gulf Affairs Tim Lenderking, and the accompanying delegation, at his office in Al Bahr Palace. The US team was on an official visit to the State of Qatar. During the meeting, they reviewed the strategic relations between Qatar and the United States of America, as well as the regional and international developments. According to earlier reports, Trump wants to bring Gulf leaders to Camp David for a show of solidarity with the United States. But he wants a breakthrough in the Gulf crisis before the potential summit of the six-country Gulf Cooperation Council in May. The White House has told the Gulf nations there’s no sense in proceeding with preparations for a summit as long as the countries are still not on speaking terms, according to several US officials and others briefed on the situation. There’s also concern that holding the summit while the crisis is still raging could lead to drama that would reflect poorly on Trump the host, the individuals said.